Yosemite Sam and I had a busy Memorial Day weekend. We finally got a dog. Given that we hunt, you might think our new addition would be a Labrador, Golden Retriever, or other mighty hunting dog. 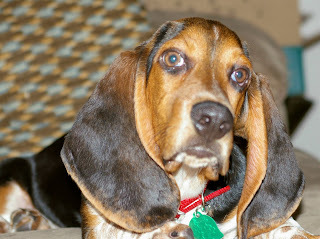 Instead, we fell in love with a Bassett Hound. All is not lost in the hunting fields. Bassetts have the second best scenting abilities second only to boodhounds. They were bred to follow game beneath briars and other low plants. We're not going to hunt with him because we got him as a pet. We realized that we simply didn't have time to train and finish a hunting dog. Just not in the cards with work and commuting. Introducing Ten Ring's "Best Friend"
So, our hound will be Ten Ring's official mascot. I promise that we won't be doing too much dog blogging. Just one thing though, his name is Cooper. We wanted to name him after a gunnie and thought of the late Colonel Cooper, but also John Moses Browning, Oliver Winchester, Samuel Colt and others. We made up our minds when we checked Cooper's papers and saw that his sire was named "Oakhaven's Crazy Cooper." Serendipity made up our minds. Saturday is the 100th anniversary of John Wayne’s birth. Yosemite Sam and I don’t have anything real planned to commemorate it; after all we never met the man. Some of the cable channels will play his movies and we’ll probably catch one of them. If not, I’ll drag a DVD of one of his movies out of our little library. I’ve developed a greater appreciation of John Wayne as an actor and an American. I was much more liberal when I was younger. I grew up in the tail end of the baby boom: too young for Woodstock and too old for Disco (thank God). Many people in the 1960s'-70s reflexively supported peace, love, and “don’t harsh my buzz, man.” It was in the bong smoke of the day. Many of us saw John Wayne as an embodiment of war, violence, and the American Way. His anti-communism, his support for the Vietnam War, and his bigger than life persona were immediate turnoffs. As I’ve grown, I realized John Wayne was right about so many things. Communism is evil as its slightly more palatable twin, socialism. It was good to fight communists in Vietnam, although we didn’t fight that war well. Wayne’s acting centered around his persona. One he deliberately developed. He’s the taciturn hero or occasionally the villain but with a good heart. His heroes never shirk from violence if it is necessary, but never deliberately dish it out unless there's a good reason. For that reason, many have denigrated his acting. It’s unfair, because he brought a lot more to his roles than people credit. Watch The Searchers if you don’t believe me. He didn’t have much acting range, but he dominated the screen whenever he appeared. This is a practical expression of the Golden Rule: “do unto others as you have done unto you;” at least for an imperfect world. For a generation remembered for peace, love, rock n’ roll, and pot, Wayne’s credo was too much. Now it seems like an excellent way to live. I don’t really have much to say on guns today. Instead, I want to speak a little more about my post from last Friday. So you don’t have to click it (unless you really want to), I mentioned that many of the old ways are dying. If there ever was a TEOTWAKI we would need those old ways. I appreciate the comments and advice especially about books and websites. Still, I regret I didn’t learn certain things while growing up. There are some skills that are best passed on and not learned out of a book. Our society has stopped valuing certain rural-seeming skills. Instead there’s an urban ethos that’s centered on letting the government help. We see it in self-defense. You know, guns are bad (I knew I could get guns in here somewhere) and the don't act wait for the cops mentality. For true urbanites, meat comes only in plastic wrap or vegetarianism is the one true faith. I work with a person who’s a true urbanite and I wonder what he would do if things collapsed in Boston. It could happen. Look at Katrina. The people in New Orleans couldn’t get help for three days—exactly the length of time that FEMA then and now says you’re on your own. If a hurricane ever hit Boston, my co-worker would be on his own. How would he feed and protect himself? He couldn’t and neither could his neighbors. No cat, rat or dog would be safe there. My employer has adopted the urban ethos. I can’t have a gun not even in my car. I’d love to keep a shotgun or carbine in the trunk just in case I ever needed to make my forty-mile commute through Mad Max world. But, I can’t do that. Instead my employer has decided that we should shelter in place in case TEOTWAKI hits. We now have little bags, vinyl lunch boxes really, that have a few “juice” boxes of water, a dense block of food, a flashlight and some bandaids. Better than nothing I guess. Katrina should have showed people that civilization is a thin veneer that can rub off quickly. Instead, too many people want the government to do more next time IT happens. They forget that government can’t do it. It’s up to us to remember the old ways. To remember that self-reliance is good and not look to the government to solve our problems. 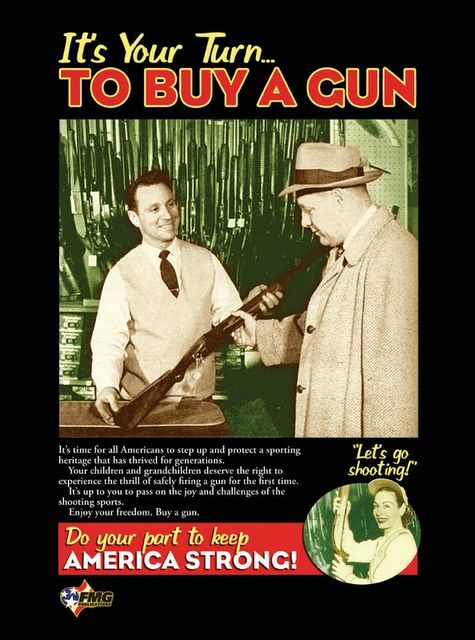 To remember that true self-defense with a firearm is a force for good. I’ve thought about how Americans eat recently (this is not a screed on vegetarianism, food fads, celebrity chefs, or anything else) and intermingled with those thoughts is just a bit of TEOTWAKI (roll over acronym) concerns. I take my trips to the grocery store for granted and would seriously miss them if everything ground to a halt for whatever reason. Preparedness is a lot more than having guns, ammo, and a bug-out bag handy. Those could get us through the first few critical days of the collapse of civilization due to the coming zombie apocalypse, terrorism, asteroid strike, or civil war (the latter seems more likely as we seem to be dividing further and further). It may not come about because of something as dramatic as a zombie attack (and yes I know it’s fiction, but it’s a good metaphor) or civil war. We could face collapse of our food supply due to a pathogen (Irish Potato Famine), we could face a severe energy shortage. If there ever is a TEOTWAKI situation (and I really hope not, I’m getting too old for that), too many of us have forgotten what our grandparents knew. Our society moved from farms to cities in just a few generations. We lost much that could help if we ever had to go back to the farm thanks to the collapse of civilization. Compared to my co-workers, I’m self-reliant. Still, I don’t know how to can vegetables even though I "helped" my mom do it when I was a very small girl. I don’t know what types of farm animals are the easiest to raise and propagate. I don’t know the seasonality of plants here in New England although I’ve had a garden a long time ago in a much warmer place. On the other hand, I know how to hunt. I can dress and butcher game with Yosemite Sam’s help. I know a few edible wild plants and mushrooms. Because of my hunting and shooting skills, I’m far better off than a stereotypical urban liberal. They need to realize that cities are tenuous constructs of our technology and copious energy use. Cities are not sustainable to use one of their favorite terms. If TEOTWAKI ever occurs they’ll die like mayflies. We need to keep old ways alive. Our grand- or great-grandparents developed ways to live off the land. They lived hardscrabble lives a lot of times, but they lived. Maybe the back to the land hippies had something right. I think I might buy one or two of the Foxfire books I once thought were so strange. I could have worse things in a bug-out bag. If 20 million people can pick and choose the laws they want to obey, and then be granted amnesty, why should they expect the rest of us to obey their "sensible" gun laws? No matter how many laws anti-gun states pass against gun and ammo ownership, someone will find a way around them. Today, we read about a candidate for the Darwin Awards. An 18-year old somehow gets (the story is not detailed on this point) some .223 ammo. He decides to sell the brass and needs to separate the bullet from the casing. He puts a cartridge in a vise and whacks it with a hammer. The story also doesn't tell if he used a nail or something to set off the primer, assumably he was hammering on the bullet trying to force it out. He succeeded somehow with several cartridges until one went off and shot him in the stomach. Of course, without a chamber and barrel to pass through, the bullet didn't have much force and it lodged about a half-inch into his torso. Still, he has figured out a way to shoot himself without a gun. A cop died in Franconia, New Hampshire this weekend. The bare bones story is that a cop, Bruce McKay, stopped a speeder named Liko Kenney. Kenney shot and drove over McKay. A passing motorist, former Marine Gregory Floyd, stopped to give aid and defend the officer. Floyd grabbed the officer’s gun and shot Kenney. The officer died, Kenney died, and the District Attorney will not prosecute Floyd. The story has gotten more complicated. Kenny and McKay had a history and McKay was supposed to call for backup before dealing with Kenney. On the other hand, Franconia has a very small police department and McKay may not have had backup readily available. No matter what issues were between the two men, Kenney had no right to shoot the officer. Floyd did what needed to be done. Why am I not surprised someone tossed collectivism into the argument. I probably shouldn’t point just to Democratic Underground. The Boston Globe sponsored a reader feedback board on the story and some posters came up with their own doozies along the same lines. You can almost always predict statist rhetoric (although the person who said Kenney was unarmed because he was reloading his gun really needs to get a checkup from the neck up). What is gratifying is that most posters on Democratic Underground and Boston Globe’s bulletin board agree that Floyd took the right action. Still, a dismaying number though called Floyd a vigilante. Nothing could be further from the truth. I was driving to work on Friday and I saw something that I've seen many times, but never gave it a thought. Part of my usual route takes me through Lexington, MA the "home" of the American Revolution. There's a T-shaped intersection that has a crossing guard who directs traffic as well at certain times. One road is a relatively busy street. The other road has a school on it. I always try to get to that intersection before the crossing guard comes on duty because she tends to back up traffic. By the way, the street has a traffic light. I got a slow start on Friday and indeed the traffic was well and truly backed up. I sat and watched something that gnawed on me the rest of the day. There was a boy about 12 years old riding his bike on the sidewalk of the busy road. He had on all the paraphernalia we make kids wear before they can ride a bike including a helmet, fingerless gloves, knee and elbow pads. As he approached the intersection, the crossing guard motioned him through and he got off the bike and walked it across. He did everything right and even smiled at the guard. For some reason, though, he became a metaphor for some of what's wrong today--I know a heavy weight to put on a kid's shoulders. When I grew up so many years ago, we never wore protective gear to ride a bike to school. Maybe we walked a bike across an intersection, but usually not. We were expected to look both ways before crossing and get ourselves to school. Where I grew up, we didn't have crossing guards (your mileage may differ) even on busy streets. Our parents loved us just as much as I believe this kid's parents loved him. But, they knew life had risks. Today everybody seems to want to roll kids up in bubble-wrap and make sure they never get a boo-boo. Schools punish the bullied kid who finally throws a punch more severely than the bully. All of this and more strips away American ideals of self-reliance and independence. Our kids can't ride a bike without donning armor, they can't even cross a street until a person in authority gives them the nod, they're not expected to stand up for themselves. With such attitudes is it any wonder that so many Americans are gun-fearing wussies who don't trust themselves to even touch a gun. Who want high-tech "safeties" added to guns to make them safer. Who want to solve crime by simply passing yet one more law--including taking guns away from the people who do use them responsibly. Who want to get rid of any concept of self-defense--after all, the police are there to protect you (like the crossing guard who always screws up traffic). As I said, that's a lot to put on pleasant looking kid who was just going to school. Still, I wonder what our society will be like when people who weren't raised believing that all risks can be eliminated are no longer here. I haven't written here for a while--longer than usual anyway. I've been away physically. Work sent me halfway across the country and back. At the same time, I've been away mentally. My job is slowly becomming a life-sucking vampire. But that's true of so many jobs and believe me, I could have it a lot worse. I recently mentioned that I had a line on another job. It would have taken me to the Washington D.C. area--Maryland to be exact. For a number of reasons, I told the people who were interested in me "Thanks, but no thanks." It looks like I'll be staying in New Hampshire for awhile. Part of my decision was the realization, I didn't really want to move to Maryland or suffer the long commute from Virginia (that would have been the best option). Another factor in my decision was I don't really want to work in the particular office in Maryland in which the job is located. Still, I feel disappointed that in the United State of America I should have to worry about moving to a state that could infringe on my God-given, Constitutionally protected rights to own a tool that can be easily owned or bought in most other states. That is wrong. No free, non-violent, sane person should have to worry about such infringements. Fighting such attitude is why I blog and why I proudly let the multitude of the gun-fearing wussies where I work know that I am a gun owner. I will try to do more to win back these rights, but I still feel like I'm banging my head against a wall. One of the things you can count on after a well publicized shooting is for anti-freedom advocates to wave the bloody shirt and cry that it is our freedom to own firearms that is the real cause of shooting rampages. That they will act this way is a given, but is it not too much to ask that people who are supposed to be on our side of the debate to not push this line of insanity as well. War on Guns has a post about a gun show in Reno, Nevada, which is now being morphed into a “Sporting Goods and Accessory Show”. They are doing this because of the “recent unfortunate incident at Virginia Tech”. This has me scratching my head and wondering what a gun show has to do with the rampage of an insane lunatic through a group of disarmed students. But, the media, Hollywood and their ilk always make responsible gun owners the scapegoat for every nutter that goes on a rampage. Gun owners are in no way responsible for the acts of these mass shooters. We are no more responsible than commuters are for the daily carnage on our roads due to drunk or incompetent drivers. The ultimate outrage is that the people, who seek to make us defenseless and advocate anti self-defense zones like Virginia Tech and further seek to inculcate a passivity and submission to acts of violence, are the ones throwing these charges at our feet. But, they are the ones that have helped create the culture of passivity that had people meekly waiting for their own execution. I expect this kind of calumny from the gun banners, but I don’t expect it from people who are supposed to be on our side. In 1999, after the Columbine killings, the NRA cancelled the public portion of their annual meeting in Denver. I have often wondered why we as gun owners and members of the NRA had to cancel our meeting due to the actions of the Columbine killers. I understand the PR aspects of this decision by the NRA. They decided that the negative PR was not worth going ahead with the meeting. But the anti-freedom advocates didn’t praise the NRA for its decision. They attacked the NRA for continuing with the non-public part of its annual meeting even though those meetings were planned years in advance and were required by its rules. Denise and I enjoy attending the annual meetings and we arrange our schedule months in advance to accommodate the meeting. If we had been active in the NRA in 1999, we would have had to cancel our reservations and rearrange our vacation plans because the event was cancelled and the NRA was de facto accepting the blame for a tragedy they did not cause. In fact, I thought about deleting the above paragraph because I was thinking that I probably would have felt bad attending a gun convention shortly after a mass shooting. But I realized that I was falling into the line of thinking that is quite common today. That guns and gun owners are responsible for every crime and tragedy involving guns. If you think about it, this is insane. Guns are merely tools. They are no different than any other tool, and people who responsibly use a tool bear no blame when others misuse that same tool. Would a car show be cancelled because someone just committed mass murder with an SUV? We as gun owners and gun rights advocates do ourselves no favors by accepting the blame that the gun control crowd throws at us. We are not responsible for these tragedies and I suspect if our solutions were put in place, many of these tragedies would be averted. So Boomtown and Gatling Guns in Reno should hold the gun show as scheduled, call it a gun show and not accept the blame for a tragedy for which theybear no responsibility. Update: A commenter on the above post at War on Guns states that Gatling Guns had nothing to do with this situation. If Boomtown is solely responsible, I have to ask why it was OK to hold a gun show before the Virginia Tech. Tragedy but not after. The implication is that gun owners and buyers are somehow responsible. This meme cannot stand.